NerdWallet Shopping’s scoring of the best Dyson vacuums is based on our analysis of the opinions of experts and shoppers like you. We recognize that consumers look for different qualities in vacuums, so we scored users’ observations on multiple features of Dyson’s top models, including their performance on carpet and hard surfaces. Picking a vacuum isn’t easy. We researched some of the most popular Dyson models on the market to make your decision less confusing. To narrow down the field, we looked at expert opinions from review sites such as The Sweethome, CNET and Good Housekeeping. Next, we analyzed user reviews to see what shoppers were saying about the various attributes of each vacuum. Here are our top choices, ranked in order of overall score. 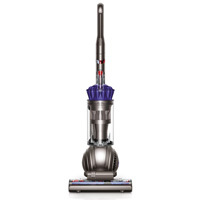 Ranked as our top-rated stick vacuum, the powerful Dyson V6 Motorhead gives you the option of using it as a stick — with up to 20 minutes of powerful suction and a direct-drive cleaner head — or converting it into a hand vac, able to clean efficiently in small spaces. 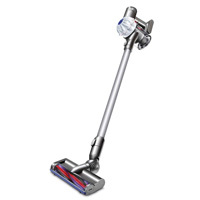 The powerful, bagless upright Dyson DC65 Animal comes with a variety of attachments, including a stair tool, a tangle-free turbine, and several different brushes to clean carpeting, stairs and hard floors easily and effectively. 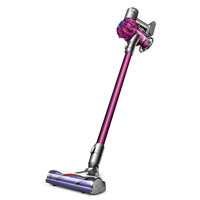 The Dyson V6 is a powerful, 4.5-pound stick vac that excels at everything from hardwood and carpet performance to pet hair removal. 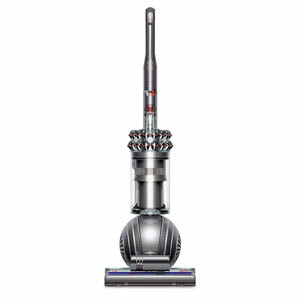 The upright Dyson Ball Multi Floor (formerly the Dyson DC65 Multi Floor) is easily maneuvered through the home, boasting powerful suction, a self-adjusting cleaner head, and an instant-release wand for cleaning hard-to-reach nooks and crannies. 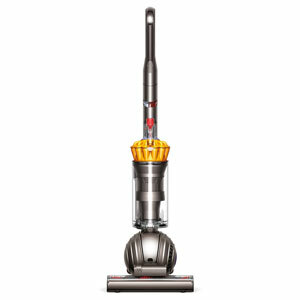 The bagless upright Dyson DC40 Origin has a self-adjusting cleaner head, which makes moving between different surfaces easy. 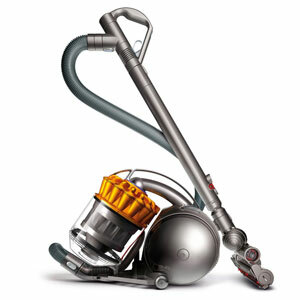 The ball technology Dyson is known for makes it easy to steer into tight spaces. The final vacuum on the list, the upright Dyson Cinetic Big Ball Animal + Allergy, has a powerful brush bar, an easily detachable hose and wand for those awkward jobs, and filterless technology so it never loses suction. How well it cleans: This score reflects reviewers’ satisfaction with the vacuum’s performance on carpet and hard floors, including hardwood, bare, tile and vinyl. It also considers their satisfaction with the Dyson’s ability to clean up pet hair and debris.